Thor: Ragnarok, the latest addition to the cash cow behemoth that is the Marvel Cinematic Universe, hit theatres with a bang to the tune of $122.7 million domestically and $427 million worldwide for its opening weekend. Debuting at the number one spot in nearly every box office around the globe with an IMDb score of 8.2 and 92% on Rotten Tomatoes, “Thor: Ragnarok” was both a commercial success and cinema delight. Critics praised first time MCU director Taika Waititi for creating “an effervescent, delightfully self-aware ride” film that “is a delicious blend of meaty action and sublime silliness.” The film is evenly paced, a delightful mixture of comedy, light-hearted fun and exhilarating action-packed scenes that are sure to please traditional comic book fans and newcomers alike. Despite all its success, Thor: Ragnarok has one major flaw; Waititi commits the same mistake that previous MCU directors, Kenneth Branagh, Alan Taylor, and Joss Whedon, continuously commit: the poor characterization of Loki. The MCU has a history of inconsistency when it comes to the characterization of Thor’s adopted brother. This stems largely from the fact that nobody in the MCU seems to be able to make up their minds on what exactly they want Loki to be: a villain, a trickster, or a misunderstood adopted brother/outsider figure. In the first installment of MCU’s Thor films, Branagh attempts to juggles all three personas, never reaching a clear consensus as Loki murders his birth father, attempts to murder an entire race, and ultimately lets himself fall into an abyss to avoiding heading back home. The juggling works for the first film because Loki himself is unsure of his place in the world and attempting to figure it out. The next time we see Loki is in the Avengers where he stars as the primary antagonist. Last seen falling through the abyss of space, Whedon’s Loki emerges as a confident, vengeful character. Whedon destroys the ambiguity established by Branagh and creates a Loki that has resolved his daddy issues by embracing the role of a villain. The movie spares no expense showing the audience how much of a bad boy this former prince has become. Loki’s first encounter with the team that will become the Avengers overtly villainizes the Asgardian. Landing in Germany, Loki brutally murders a man before commanding a group of people to kneel. In response to Loki’s insistence that he is different than other overlords, a German man stands and says “there are always men like you” in a direct reference to Nazi Germany. The Nazi-Loki comparison continues as Captain America arrives on the scene. Having only recently woken from his coma, Captain America’s last memories are of World War II, where he fought real Nazis, and the ensuing battle plays up this connection. 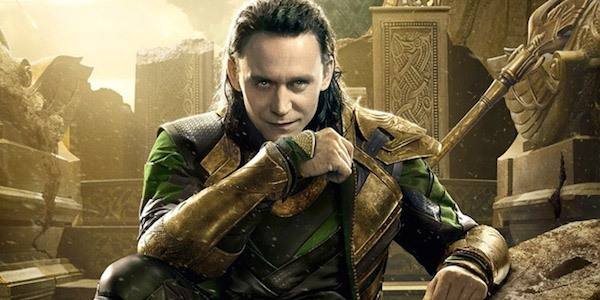 While Loki employes trickster-like characterizations throughout the movie, the trickster archetype is supplanted by the villain. There are very obvious differences between tricksters, who operate solely for personal gain, and villains, whose intentions may be self-interested but who are inherently evil, and Loki lands firmly in villain land. If Marvel wants its movies to play off each other and create a true universe as the name MCU suggests, they need to provide consistency between their films. But in 2013, a year after the release of the “Avengers,” Alan Taylor reverts back to Branagh’s confused, ambiguous Loki. MCU films are meant to be built off each other and Taylor’s return to Branagh’s Loki undermines the villain Loki from the “Avengers”, an idea Waititi continues in the latest film. He attempts to reconcile Whedon’s Loki in the Thor-Hulk fight scene but largely fails. Loki’s fear of the Hulk is portrayed as comical and Loki’s concerns over returning to Earth are dismissed, ignoring the villainy of Loki’s earlier actions. Waititi sweeps the vengeful Loki under the table and hides any uncomfortable reference to the “Avengers” with admittedly hilarious jokes. A final, weak attempt is made towards the end of the film to reconcile Loki’s inconsistencies when Loki moves to betray Thor, but this too is erased when Loki selflessly swoops in to save his brother and the Asgardian people at the end of the movie. The move is characteristic of the misunderstood outsider, but not of the trickster who supplanted his father on the throne or treated the Asgardians with contempt in the first movie. To be fair to Waititi, the Loki problem had been passed down to him from three previous films of inconsistency and he valiantly attempts to bring them all together but the task proved too herculean for “Thor: Ragnarok” to handle. If Marvel wants its movies to play off each other and create a true universe as the name MCU suggests, they need to provide consistency between their films. I’m not advocating for stagnant, unchanging characters, but consistency in their changes and characterization of these characters. If a character is a villain in one film, they can’t turn around a year later and characterize the same character as the misunderstood brother whose death the audience should mourn even though he was directly and consciously responsible for the death of thousands in the last film. Characterization changes need to have pivotal catalysis behind them but even then, characters don’t switch from mass murderers to beloved heroes without tarnishing the integrity of earlier characterizations. MCU has some of the top grossing, highest ranked movies of the century; as an audience, we want to continue seeing this trend of excellence but not at the expensive of the very things that make the MCU great: its vibrant, entertaining, beloved characters.